As a parent, are you comparing yourself too much with other parents? Being a good parent isn't all about how good you're doing compared to other people. Your only metric for success is your relationship with your kids. Who’s a good parent? You are! Modern parents these days hold themselves to significantly higher standards than when our parents were raising us. We struggle to do the best we can, afraid that we’re failing our kids. Are you always worried about being a good parent to your kids? It’s just so tempting and easy to compare ourselves to friends, relatives, or even social-media-famous parents. We should stop seeing other parents as a measuring stick to our success. Instead we should look at our kids and how they’re doing, physically, mentally, and emotionally, as our measure of whether we’re being a good parent or not. If you’re parenting with the love and compassion that comes freely and unconditionally, then everything else follows. Clinical psychologist Nadene van der Linden says that there are seven signs we’re doing alright as far as being a good parent is concerned. Children can be volatile when they’re discovering big emotions. They may be difficult to handle sometimes, but your child’s willingness to express anger, sadness, guilt, or fear in front of you is a good sign. It means they feel emotionally safe with you. There is no fear of being judged or scolded. Parents should be worried when their children hide their feelings from them. This is often a sign of the child’s lack of trust in you, and probably a deeper problem in your relationship with them. So do not shut them down. Pay attention to them. Show them that you appreciate them and that they don’t need to be afraid of expressing how they feel. Show them that they can trust you. You can say “I can see from how you’re destroying your toys that you’re very angry. And you’re telling me this is because your sister won’t let you play.” It shows that you understand what they’re going through, and that you can handle their emotions. You know you’re being a good parent when your child comes to you for advice or comfort when they have a problem. This means you have built a strong bond between the two of you that’s based on trust. You provided your child with a secure space that your child can go to when they’re feeling vulnerable. That’s what homemaking is all about, after all. For them, you are home. Encourage this by welcoming your child with open arms, whatever the circumstance, and listen to their problems. They may seem small or petty to you, but if you dismiss the small ones, then they won’t go to you for the big ones. This means you and your child have an accepting, open, and flexible relationship. Some parents unwittingly make the mistake of restricting communication between them and their children. This can be by overreacting to their children’s thoughts or feelings, or by telling their kids to shut up when kids criticise them. If they say something like “I don’t like brushing my teeth,” you don’t need to scold them about it. Ask them why first and tell them nicely what would happen if they don’t brush their teeth. Having healthy, decent discussions with your children helps build respect between the two of you. Giving too much critical feedback boxes in your child, represses them, and puts pressure on them to be people you prefer instead of love. And when a child is repressed and pressured, they might go off and release that pressure later on in ugly ways – like an unexploded landmine. If your child ruins the cake in the fridge, focus on the behaviour (“You did a bad thing”), not the child (“You are a bad boy”). When children pursue their interests and practice their talents, they feel a sense of achievement. It gives them something to focus on, not because they were forced to do something, but because their interest resonates with what they want and who they are. 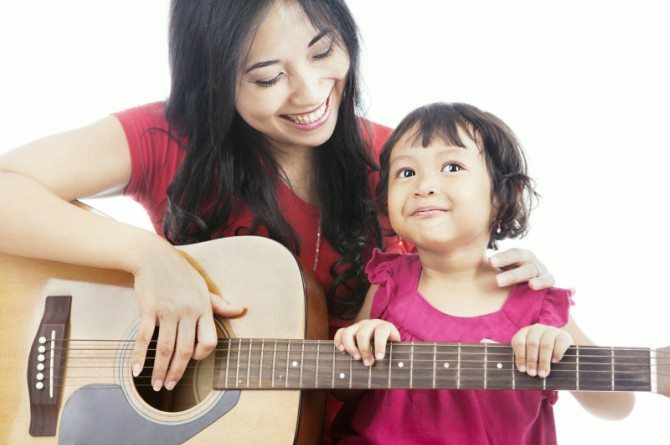 Encouraging your child’s interests and talents positively engages them through their teen years, up until their young adult years. It teaches them persistence and perseverance, and give them a greater sense of fulfilment. It’s not good to direct your child’s interest to fulfil your unrealised dreams and needs. Forcing them to excel at something they don’t want can only lead to disaster, even when they appear to be doing well. A good parent guides their child’s behaviour by setting down healthy boundaries and limits. Without knowing their boundaries and limits, children grow up either entitled or unable to tell when people or walking all over them. Teach them that there are limits to what they can do to/with other people, and there are limits to what people can do to/with them. They can’t just take their classmate’s stuff. That’s a boundary. And certainly, their classmates can’t just take their stuff as well. That’s a boundary, too. These boundaries range from ethical and moral boundaries, to etiquette (respectful language), to routines (brushing their teeth). The willingness to acknowledge your mistake and fix it is a sign of a good parent. It tells your children that you value them more than your own ego. So when you do something that’s out of line, whether you yell, overreact, or insult your child, fix it. Talk to your child, admit your mistakes, and tell them you want to make up for it. You can ask them what they’d wish you had done instead, because it takes into account their wants and needs, instead of making it all about you. Being a good parent is not about whether your child has a diet that befits an athlete or has high grades. It’s about having a healthy relationship with them as young people, setting the stage for a closer, more secure relationship as they grow older. This type of relationship creates an environment where your child can thrive and become a well-adjusted teenager and then an adult. Having a relationship based on external factors like beauty, intelligence, or academic achievement is no match to a relationship based on love, respect, trust, and compassion. So who’s a good parent? You are.